While researching our families, we've come across many interesting stories, some of them strange, some of them sad. To see more, take a look under Family Stories in the next column. If you know the name of the person you want, use the Search at the top right. To see family trees, pictures, maps etc, go to the Site Menu at the left. We would like to thank everyone who has contributed information, references, pictures and their time in helping us discover so much! 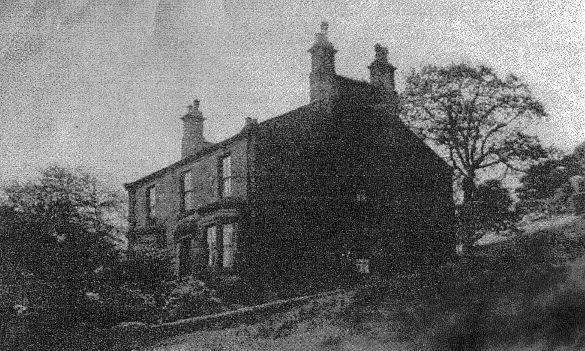 The Entwisle family has its own organisation, the Entwistle Family History Association which is open to all Entwistles and their relatives, however distant. For more about Liverpool families, try the Liverpool and SW Lancashire Family History Society site. You can read some of the stories we've found by following the links below. A diary from the Great War Eileen first read about her Uncle Albert's Great War Diary in our local paper in the 1980's. The original is now lodged in the Imperial War Museum; our copy is here, with pictures. Postcards from the trenches For many years, we had some very old French postcards Brian's uncle sent to his family from the World War I trenches. Next to the cards, we've added what was happening in the Somme area where they were written in 1917 and 1918. Married at 17 to a man of 55! Imagine the tabloid headlines if this happened today! A rather curious tale in one of the Cowens' female lines. In 1862 a pregnant Charlotte Smith, then aged 17, married Charles Fossett aged 55 and after his death, great-uncle John Robertson. Allan Wylie, Chief Engineer Grandma Cowen's father died off Egypt in 1872, the year she was born. As Chief Engineer on an early steamship, he led a fascinating life! The Trial of William Garner One day, we opened a death certificate for Eileen's great-grandmother. It said she'd been murdered - by her husband! We include much of the evidence from the trial - you must decide your own verdict! Shot down! Grandmother Brown had twins in 1924. Leslie and Dave fought in the Second World War. Leslie worked in the Navy on radar and survived for a few more years until dying of leukaemia but Dave, an airman, was shot down. These pages explore aspects of his life in the RAF. Post-natal depression? Ann Entwisle, one of Eileen's great-great-grandmothers, was missing from the census of 1851 then, Eileen found her on the census for Lancaster - in the Asylum being cared for by Mrs Gaskell's enlightened brother. Fighting Victorian slums Brian's roots are in Liverpool; his Brown family came from 19th century Liverpool - not the prosperous, ship-owning cotton-dealing Liverpool but the slum areas of the north of the city, where deadly diseases, overcrowding, hunger and poor sanitation and water were endemic. February 2018 - New templates and updates for Great War Diary, Uncle Willie's Postcards and Shot Down, the story of Dave Brown's last flight in World War II. January 2018 - A makeover for the Robert Tannahill story. November 2013 - A new look for the front page! 29 November 2010 - Added Edward Entwistle, driver of the early locomotive, the "Rocket". Not one of our Entwistles but a very interesting man. Thanks to Richard Entwistle for much of the research. 6 May 2010 - Added a whole new look to our site! 2006 - Began our family history research.